Pakistani cement export is declining due to new duties from Afghanistan and other issues from India. .
HomePakistani cement exportPakistani cement export is declining due to new duties from Afghanistan and other issues from India. .
Pakistan always help Afghanistan in hard times but in return they put unnecessary duties on our products and on other hand First India refuse to honor Cotton deals now putting hurdles in cement exports. Lets read the detail story about these issues . Pakistani cement exports to Afghanistan and India declined by $20 million in the first-half of the current fiscal after the Afghan government increased the transit fee and Indian authorities refused to renew export licences of some Pakistani manufacturers, sources in the ministry of industries said on Thursday. The Afghan government increased the transit fee by 100 percent at Torkham border for each truck that carries cement from Pakistan, they said. Indian businessmen played a cardinal role in pursuing the Afghan government to increase the transit fee and they succeeded in their designs, they added. The Afghan government had earlier been charging Rs9,000 transit fee on a truck, which has now been doubled to Rs18,000. The decision was taken 14 days ago and the cement industry so far has lost $14 million worth deals. The concerned ministries of commerce and foreign affairs remain unmoved over this development. However, the businessmen engaged in exporting cement to Afghanistan, including cement dealers, transporters and some representatives of the cement industry, are scheduled to hold talks with the Afghan authorities on Monday to resolve the issue of transit fee. In 2008/09, Pakistan exported 3.18 million tonnes of cement worth $150 million to Afghanistan, which surged further to four million tonnes, valuing $200 million in 2009/10. However, during the first six months of the current fiscal year, Pakistan�s cement exports stood at 2.265 million tons worth $110 million. Similarly, Pakistan suffered a decline of $6 million in its exports to India because of the non-renewal of quality licences by the Bureau of India Standards (BIS), the sources said. An official said that in 2008/09, Pakistan exported 0.634 million tonnes cement worth $35 million to India which increased in 2009/10 to 0.723 million tonnes worth $40 million. But during the first-half of the current fiscal year, the country exported only 0.215 million tonnes of cement worth $12 million. The cement companies of Pakistan are required to obtain quality certification from the BIS. Between 2007 and 2008, BIS had granted quality licences to 22 Pakistani cement companies. Some of these licences, such as those obtained by DG Khan Cement and Maple Leaf, expired. These companies, according to the All Pakistan Cement Manufacturers� Association (APCMA), have approached BIS for renewal, but their applications remain pending for the last four to five months. The BIS did not reply to an emailed query. 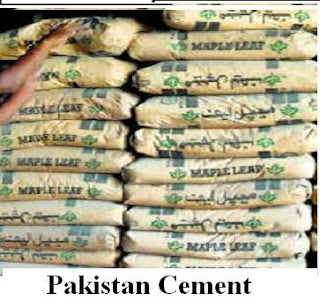 �Pakistani cement has been well received in India. The BIS should renew licences as early as possible after completing the formalities,� said a spokesman for APCMA. Since 2007, Pakistan has exported 2.32 million tonnes of cement to India and more licences would expire in the coming months, he added. According to Anudeep Singh Madan, president of the Amritsar-based Cement Importers Association, the region is getting good quality cement from Pakistan at a lower price. After taking into account the cost of rail transport from Wagah to Amritsar and further transportation within the country, the Pakistani cement is delivered to Indian buyers at Rs220 per 50kg bag, Rs30 less than the Indian cement. Diminishing local demand also remains a concern for the Pakistani cement industry, which has been particularly hit hard by few projects in public sector development. In 2008/09, Pakistan exported 6.06 million tonnes cement, earning $600 million. In 2009/10, it exported 5.6 million tonnes of cement, valuing $530 million. During the first six months, the industry exported 2.08 million tonnes worth $230 million.